North Carolina’s coast, which has so far eluded capture by the energy companies, is again in the crosshairs for offshore oil and gas exploration. And this time, the rigs could be just three miles from the shoreline. 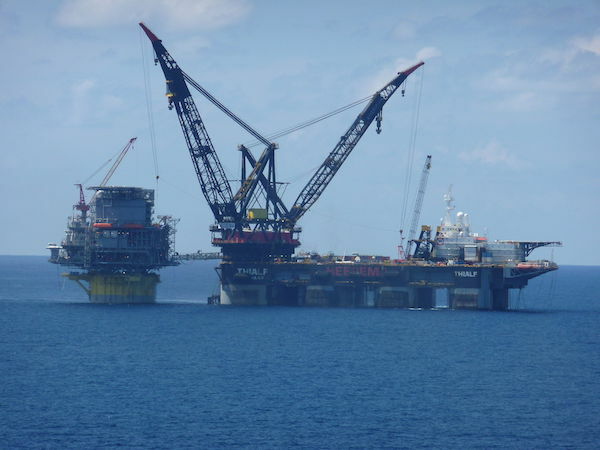 The federal Bureau of Ocean Energy Management is preparing its 2019–2024 national Outer Continental Shelf oil and gas leasing program, including lease sales in the mid-Atlantic Outer Continental Shelf for exploration and drilling. The area is under consideration because President Trump issued an executive order on April 28 opening it to lease sales. Trump’s order would overrule the Obama administration’s 2017–2022 gas and leasing program, which excluded the Atlantic and Pacific Outer Continental Shelves. The proposed new five-year lease plan (2019–2024), though, would replace its predecessor and greatly expand the ocean waters to drilling. You can comment directly to the BOEM or via the NC Department of Environmental Quality, which is seeking public input and information on the potential impact of oil and gas exploration and development on the biological, social, economic and aesthetic values of North Carolina’s coast. State environmental officials will hold three public hearings about the program. All of them will run from 5–7 p.m.
Wednesday, Aug. 9, Crystal Coast Civic Center, 3505 Arendell St., Morehead City. People can also comment via email or snail mail: timothy.webster@ncdenr.gov or Timothy Webster, 217 . Jones St., 1601 Mail Service Center, Raleigh, NC, 27699-1601.: All comments are due by Aug. 15. Comments made to state officials will be forwarded to the Bureau of Ocean Energy Management . NCPW has featured two stories about the ecological damage caused by seismic testing, the precursor to offshore drilling, on June 26 and July 5.